New Brunswick, New Jersey is known as “Hub City” because of the sheer quantity of medical facilities in the area. New Brunswick is also home to Rutgers University and houses the corporate headquarters for several of the world’s largest pharmaceutical companies. Unfortunately, this hasn’t prevented New Brunswick from suffering the same fate as many of America’s cities. New Brunswick’s heroin and opioid problem has reached epidemic proportions. Fortunately, there are many treatment options for drug rehab In New Brunswick. New Brunswick’s drug problem can be traced to its location. Nestled between two major metropolitan cities, in New York and Philadelphia, New Brunswick seems like an obvious supply line for drug traffickers. When you consider the easy access to seaports along New Jersey’s eastern coast the problem becomes obvious. Law enforcement officials estimate that over 70% of New Jersey’s criminal activity is directly related to either the drug trade or drug abuse. Measures have been put in place by law enforcement to attack the supply lines, but residents still find themselves and their loved ones caught in the crossfire. While the murder rate in New Brunswick remains well below the national average, the rate of criminal violence is actually higher. In 2015, opioid based drugs accounted for just under half of all the substance abuse treatments in New Jersey, with Heroin accounting for 40% of admissions. But recent data shows that illegally obtained prescription opioid deaths are on the rise. While New Brunswick certainly isn’t alone in this regard, residents wonder when the carnage will end. Meanwhile alcoholism remains a major issue for Middlesex county with admissions due to alcohol accounting for over 30% of all admissions. Even as New Brunswick’s population has shown an increase each year, just over 34% of its population lives below the poverty line, with employment opportunities in the city trending fewer each year. While the median household income is around $38,000 a year, the median property value is estimated at around $240,000 making homeownership and housing a constant battle for New Brunswick residents. These and other stressors have created a substance abuse situation which appears on the surface to be dire, with law enforcement playing whack-a-mole with one drug ring after the other, and now administering Narcan to those that are overdosing. For friends and family of people that are in the thrall of addiction, it can be devastating to see your loved one fight what seems like a hopeless uphill battle. But the truth is, many do overcome addiction, and New Brunswick has the benefit of a number of skilled rehabilitation facilities and a proactive drug court program that ensures that we aren’t further punishing the victims of the drug trade. So for individuals that want or need to get help for their addiction, and those that care about them, the question then becomes: what can they expect from the process? Contrary to popular belief, the average person who is admitted into a rehab facility in Middlesex County is white (59%), between the ages of 25 and 54 (71%), works either full or part time (34%), and is either single or divorced (82%). Middlesex county residents account for 77% of the total amount of drug admissions. The majority of those that find themselves in rehab do so after a near fatal overdose. While the problem is epidemic, especially in New Brunswick, the city is not without its saving graces. New Brunswick is home to some of the top treatment centers in the state. In fact, drug treatment centers in the area now have their own Yelp page. But the first step is understanding the various levels of care that are provided for recovering addicts and finding the best option for you or your loved one. This means understanding how drug addiction is treated from start to finish, and what precisely the process of recovery entails. The most common reason that an individual finds themselves being processed for drug treatment is after an overdose. But it’s also true that many folks recognize there is a serious need to clean their lives up and move in a different direction. The first step in that process is recognizing that they have a problem. The second step is doing something about it. New Jersey has instituted an Opioid Overdose Recovery Program that details the best practices for dealing with those that have suffered a heroin or prescription opiate overdose. When a patient is admitted to the hospital after an overdose, they are administered a drug called naloxone that reverses the effects of the opioid in their system. A patient who is overdosing isn’t necessarily aware of what is happening. In fact, they generally feel as if they’re in a kind of bliss. Patients that are brought out of that state with the anti-opiate medication offer suffer from extreme withdrawal, agitation, and both psychological and physical pain. It thus became necessary for the government, under the direction of leading health officials familiar with addiction treatment to come up with some sort of plan for helping these people get the necessary care that they need. The recovery program instituted in New Jersey employs specialists that understand issues related to recovery and patient navigators whose aim is to link patients with various services. The program has been remarkably successful for individuals that are in dire need of kicking a very dangerous habit. It’s important to note, however, that a patient cannot be forced against their will to remain in a rehab or detox program under the current law. While lawmakers are debating the merits of such a measure, involuntary commitment for drug overdose patients remains impossible. Nonetheless, many individuals that find themselves in rehab, do so after having nearly died of an overdose. Many folks, however, take a proactive approach to dealing with their drug or alcohol problem. This entails a drug assessment during which a doctor determines the extent of their physical, psychological, and psychiatric health problems. The assessment is fundamentally designed for doctors to determine a safe way to detox a patient’s body. This includes managing potential physiological damage done to a patient’s body by the drugs, as well as the process of weaning a patient off the drugs as painlessly as possible. First, a doctor is going to test a patient’s blood and urine for the levels of a drug in the body. The doctor will determine the extent of the damage caused by the drug abuse. The patient will also be asked to fill out questionnaires to determine their drug history. The doctor will also want to take a medical history and understand the patient’s family history as well. Lastly, a mental health screening will be done. It often happens that drug dependency issues go hand-in-hand with mental health issues. Understanding where a patient is coming from will allow the doctor to develop the most effective treatment plan. Upon being admitted to a drug treatment program, a patient will begin detox. Generally speaking, acute drug treatment programs last about 28 days during which the patient is housed in an inpatient treatment facility. In New Brunswick, this means a lot of folks detoxing from opioids. By and large, opioids make up the vast majority of admittances in New Brunswick rehab facilities, and the process of detoxing from heroin or prescription painkillers is seldom fun. That being said, rehab clinics try to make the process as painless as possible, and in order to do that they use drugs like methadone to wean patients off of the physical craving for the drug. This entails tapering down the drug until, ideally, the patient no longer feels the cravings. The drug does an excellent job of weakening the effects of physical withdrawal, but it can’t eradicate them entirely. It is thus necessary for patients to be under constant supervision during detoxification. It’s very likely that the physical cravings are going to be too strong to resist, and those that are not under medical supervision and taken out of their normal surroundings, stand a better than even chance of relapsing. After detoxing, a patient can experience symptoms for up to a year after. Detoxing is the beginning of the process of kicking the habit, not the end. For those that have never undergone the process, it’s important to understand that there is such a thing as emotional and psychological detox. Suffice it to say, a patient is not out of the woods once the drug has been cleaned from their system. There’s much more recovery to be done, and patients are still quite vulnerable at this stage. The majority of relapses will occur within the first six months after the patient has detoxed, and there are a number of approaches to post-acute rehab that are well suited to different cases. Understanding the various options will help patients and their loved ones make the best possible decision. Inpatient residential treatment programs are the most intensive form of post-acute care an addict can receive. As stated earlier, most addicts will relapse during the first six months directly after detoxification. The urge to use can remain for the duration of an individual’s life, but the psychological lure will never be stronger than in those first 6 months. RTC programs are effective at removing a patient from the temptations that they would likely face returning to their normal lives. Patients can choose to remain in this kind of a residential program for as many as 90 days after the initial intake. The majority of residential programs last around 30 days. Patients who choose residential treatment have shown higher rates of success in refraining from relapsing. An RTC program is aimed at giving addicts a safe place to receive treatment outside of their normal lives. They’ll meet other folks that are going through recovery and have a platform to discuss their personal histories and their motivations for using in the first place. This can be remarkably therapeutic, and while forming romantic bonds in a rehab setting are highly discouraged, many folks do form friendships that can last a lifetime. Patients will also be able to talk to doctors and therapists. Doctors may prescribe medications that will help ease some of the psychological symptoms that they’re suffering post-detox. If they have been diagnosed with psychiatric issues, they may be treated for that as well. Therapists will help them focus on goals for the future and discuss strategies for remaining sober once they’re released. This will include learning tools and skills that help them manage cravings, and removing themselves from situations where they’re likely to use. The obvious benefit of an inpatient program is that it prevents patients from simply going back to doing what landed them into rehab in the first place. In terms of levels of care, Partial Hospitalization is a level under a residential treatment facility. It isn’t as intensive as RTC, but it’s more intensive than outpatient treatment. Basically, PHP is a hybrid between inpatient and outpatient programs. A patient will spend the day, generally from 9am to 4pm, in the hospital receiving similar services to what they would receive in an inpatient facility. Afterward, the patient is released from the hospital to their home or a sober living facility. Daily structure is provided for PHP patients, and this includes focusing on strategies for coping, managing stressors, and building goals for the future. Partial hospitalization is a good option for those that have somewhere safe to go back to upon completing detox. Intensive outpatient is the least structured of any of the post-acute care programs. It is designed for patients that can provide structure for themselves and run the least amount of risk in returning to old environments or relapsing. They’re therefore suited to patients that have a strong support structure around them and are highly motivated to keep their sobriety intact. Services can include group meetings, meeting with certified drug counselors, and appointments with other qualified practitioners. IOP is designed to work around a patient’s schedule, so daytime and evening meetings are available. This is ideal for those in recovery that have a job or work to go back to, and are very motivated to kick the habit. Determining the best treatment option will differ on a case by case basis. But it’s important to realize that the vast majority of individuals that have just been released from a detox program are in an incredibly vulnerable position. It’s also true that the majority of those who end up relapsing will do so within a few months of being released from detox. It’s largely because there is a deep seated depression and sense of psychological loss when one begins to live their life without their drug of choice. This is especially true for heroin addicts and other opioid users. It’s therefore necessary to err on the side of caution. Inpatient programs have shown themselves to be the most effective at preventing relapse. While relapses occur often, most individuals can and do (eventually) get their lives back on track. It’s an uphill battle for sure, but there are many who have gone through the process themselves and are willing to lend their experience and knowledge to those that are going through the process for the first time. Once intensive inpatient or outpatient rehabilitation has been completed, a patient will still need to maintain services. For those that have co-occurring mental health disorders, this will entail keeping up with their appointments and medications. It also means learning how to navigate the world with their sobriety intact. Twelve step programs are pivotal for a number of individuals that are coming out of rehab. They offer a support structure and community of folks that help manage stressors and offer advice to those that are just beginning the process. Individuals are encouraged to talk about their personal history, and offer support to those that are in a tough spot. Lifelong friendships are built out of the process and if relapses do occur, they don’t tend to be as devastating as they might have been without the support structure in place. Not everyone who completes rehab has a support structure in place. It often happens that they’ve burnt a lot of bridges along the way and their friends and family are wary about having them around or allowing them to stay in their homes. While these feelings of apprehension tend to fade with time and commitment to one’s sobriety, they are also a stressor for the person in recovery who may feel alienated from those they care about the most. Residential facilities that specialize in sober living can be a great option for those with nowhere else to go. 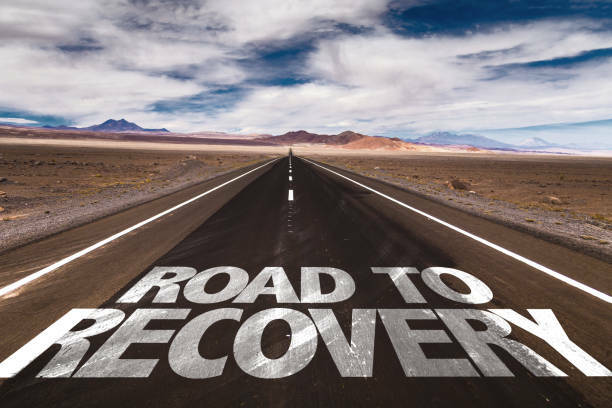 New Jersey’s post-recovery program links a patient in recovery with the necessary services to get them on the right path. This can include sober living housing, which can include group homes, or independant living arrangements, depending on the level of care the individual needs following rehab. New Jersey provides the apparatus necessary to help those in recovery make a full transition. While the task may seem daunting, and often hopeless, the majority of folks do eventually make the transition successfully. But recovering from drug addiction is not something anyone can do alone. If you or a loved one is ready to make the choice, New Jersey has developed a program that will help every step away. The first step is recognizing that there is a problem, and hoping for a better future.